With our latest round of product updates, we’re making it easier for you to stay informed and ‘on top’ of your inbox with two new features; spam detection and updated push notification previews. We’ve also snuck in a ‘bonus’ update! With so many new features and improvements from Spruce, we know it can be hard to keep track of them. We’ve added a “What’s New” button from within your inbox so you can see the latest changes. 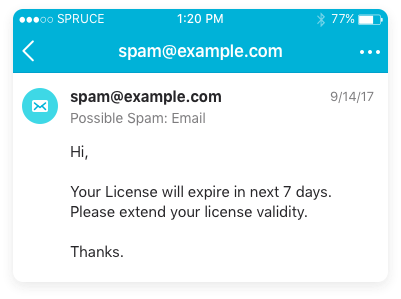 Spruce will now automatically detect spam calls and email and give you the option to keep them out of your inbox, so you can stay focused on patient and practice matters. We detect inbound spam calls by checking the caller’s number against a verified list of spam callers. 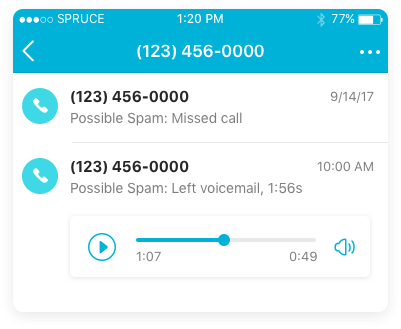 We are providing users with set of options for how to handle those spam calls – the default setting will be to send suspected phone calls direct to voicemail. Spruce will also automatically detect when an inbound email is likely to be spam. The default setting is to not notify you of suspected spam emails. We updated your push notification preview with additional context to help you better prioritize which new messages need your attention. 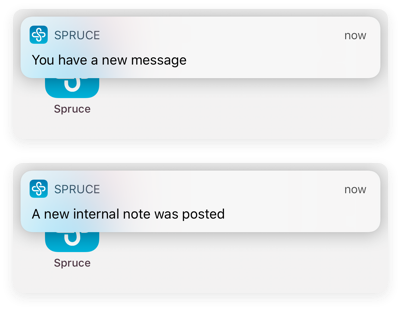 Previews will now depend on what type of new message you received in Spruce. You have a new team message – when a provider posts a message in a team conversation. We added a link in your Settings so you can easily check what’s new in Spruce at all times. 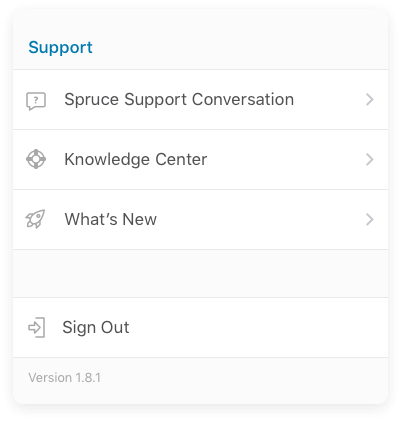 Just go to your Settings and looked for “What’s New.” Tap or click on the link and you’ll be redirected a page with all the newest updates from Spruce. These updates are available now on the Web, Android, and iPhone. If you’re using Spruce on your phone and not seeing the updates, check your phone’s app store to make sure your Spruce app is up to date.